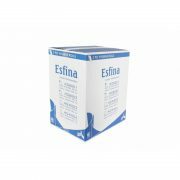 JP Supplies offer high-quality hygiene and couch rolls made by Esfina, a leading manufacturer of paper products in the UK. Couch rolls are ideal for the health and beauty environments as well as doctors’ surgeries. It is an essential everyday product for doctors, beauticians, chiropodists and tanning salons. As a professional hygiene and couch roll supplier, we provide Cleaning and Paper products to suit a number of industries, with a swift and successful delivery schedule to make sure your order is shipped in excellent time. Browse through our extensive online store for more information.